Fracture stabilization is the use of a variety of processes to enhance the healing of bone fractures. There are several methods including surgical, non-surgical, minimally invasive (vertebroplasty, fusion, kyphoplasty). Fracture stabilization gives pain relief and prevents further damage to soft tissue and bone. There are closed and open fractures. With open fracture surrounding tissues and bone are visible. Fractures may include one or more bones and can be a clean break or shattered into numerous pieces. Breaks are a traumatic injury to the bone, tissues, and individual. In addition, a pathological fracture is due to bone weakness, stress, and hairline fracture. The doctor will diagnose the type of fracture by physical exam, x-ray, and MRI. With a stable fracture, minimal treatment is required. 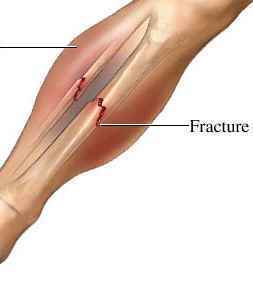 In a stable fracture, the bone just breaks in one place and is easier to fix. Early stabilization leads to better outcomes, such as fewer complications, shorter hospitalization, and lower cost. However, it may be contraindicated if there are head injuries, internal injuries, and other risk factors. An unstable fracture is a severe injury. It is normally treated with the bone reduction and the bone may still slip out of place. This makes it difficult for the bone to be realigned. The bone is shattered into fragments, and it may not be possible to put all the broken pieces back in place. This entry was posted in blog and tagged bone fractures, Fracture stabilization, pathological fracture, unstable fracture on November 14, 2018 by aenriquez.